For more than 100 years Pleijsier Bouw has been a building company that takes a proactive approach to every project they encounter. Based in the Netherlands, Pleijsier Bouw produces structures of all sizes with a focus on non-residential buildings. They are ISO 9001 and ISO 14001 certified and very focused on the environment and energy efficiency in all they do. So when Pleijsier Bouw was developing a new corporate building that they would share with Borghese Real Estate, they had specific goals in mind and that included the glazing products. “The building was designed to be open, with a lot of glass and without too many walls. To create an open structure, we chose not to use any sunscreens or other objects that will stand in the way of such a design. Therefore, we selected Suntuitive glass. The transparency and open structure is not only for the design of the building but also the appearance that both companies portray,” said Sep de Bruin of Pleijsier Bouw. What is Suntuitive Glass and where did de Bruin and his team find it? Suntuitive is the leading dynamic glass technology adopted all over the world. Suntuitive is manufactured by Jenison, Michigan based company- Pleotint, LLC and over the last several years installations with their product have been appearing all over the globe. When Romag’s Suntuitive representative Rik van Ogtrop of Hermans Techniglaz promoted the abilities of Suntuitive Dynamic Glass at a “Building Holland” event, it caught the eye of Pleijsier Bouw. 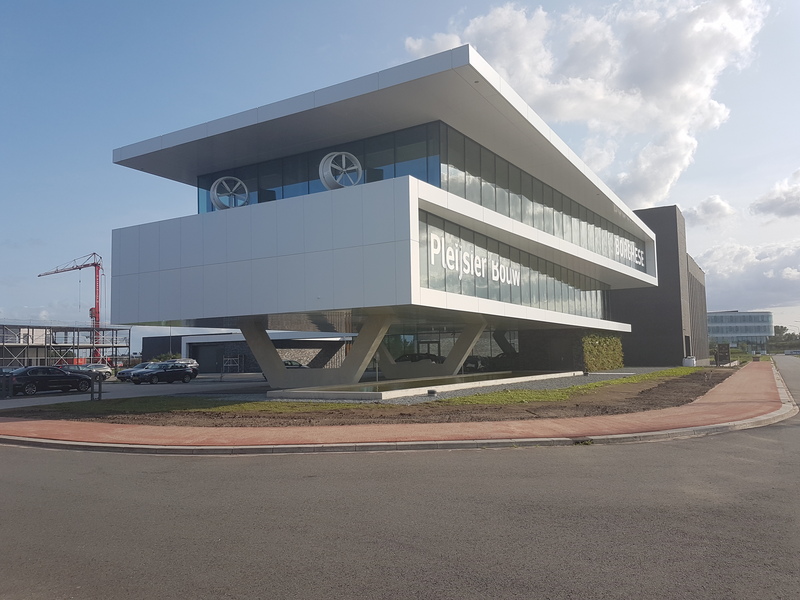 A major consideration for Pleijsier Bouw was the environment and doing right by it with the products they chose to be in their newest building. “We are an innovative company and sustainability is one of our priorities. As a forward-thinking company it’s very important that the design of our new office is sustainable,” added de Bruin. 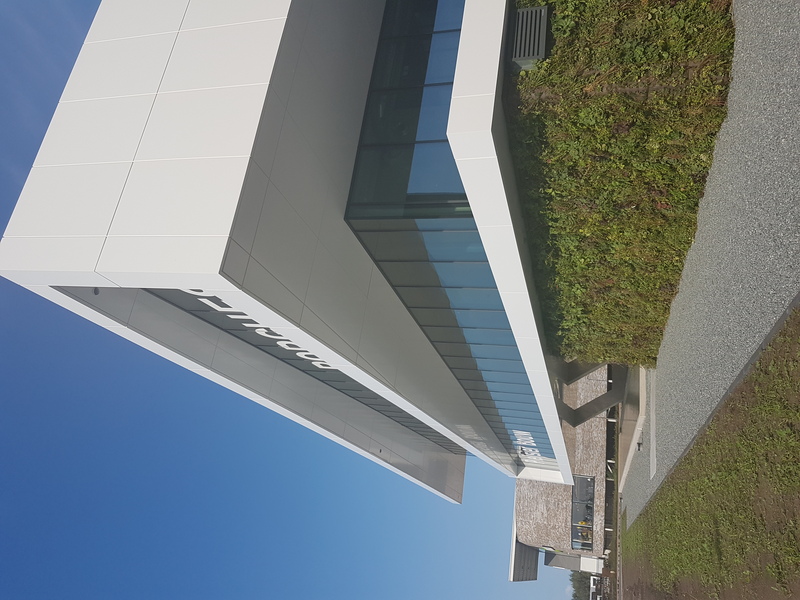 Another important factor for both Pleijsier Bouw and Borghese Real Estate was occupant comfort and Suntuitive’s ability on the daylighting side was a major difference. Sustainability and natural light are just two of several advantages that the Suntuitive product brought to the building as Gresehover of Suntuitive explains. 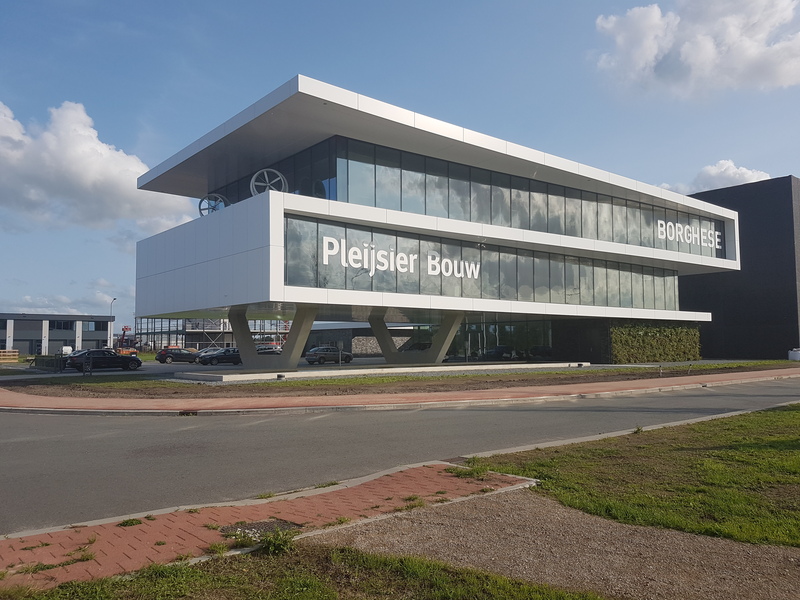 The new structure for Pleijsier Bouw and Borghese Real Estate opened in August of 2018 and they are still awaiting word on two very exciting developments. The building is up for certification through the Building Research Establishment Environmental Assessment Method also known as BREEAM, which is the highest achievable rating in the field of sustainable certification in Europe as well as a WELL-GOLD designation that would make them one of the first in the Netherlands with that award. MIES Architecture. They designed the building together with Pleijsier Bouw and Borghese Real Estate.